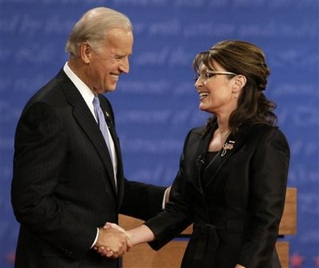 Biden had a huge challenge ahead of him before the night began tonight. When I used to play basketball we had pick up games where a girl would want to play we all hated it because no one wanted to guard the girl. If you played her to tough you were a jerk. If you let her score on you everyone made fun of you. Biden had the unenviable task of taking on a charismatic well spoken woman. Not an easy task. I think he did great.